From doubling over in laughter at a joke only you two understand, to lifting each other up in the face of tragedy, you know you will always be there for one another. 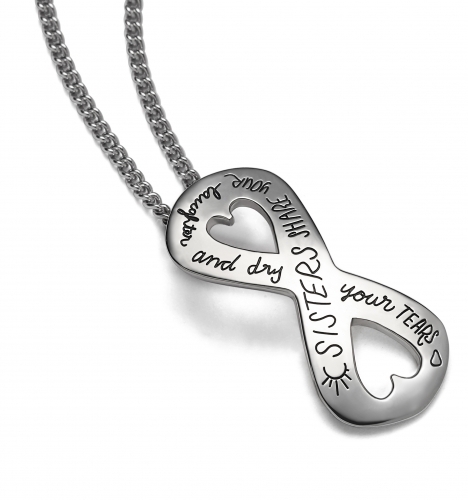 This hand-crafted necklace represents a bond unlike any other. The infinity symbol reflects an invisible connection filled with love that lasts eternally beyond space and time. Let your sister know how much she means to you with this stunning sterling silver gift. Pick one up for yourself, too so you can think about your special connection anytime you look at it.